Edna Lewis had a grandmother that was a former slave. She was born in Freetown Virginia in 1916. She was one of eight children. She is Gournet Game Changer number 36. The farm she live on was granted to her grandfather a freed slave. Her mothers kitchen was not fancy, they mostly cooked over wood. In her early thirties she took a bus to New York. She was eager to work, however she was restricted by the racial attitudes of the south at the time. When she arrived in New York, a friend got her a job in a Brooklyn Laundry ironing. Within a few hours, she was fired. She did much better working for the wife of Richard Avedon, where she was a seamstress. She was quite good at copying designer dresses such as Dior. She even made a dress for Marilyn Monroe. In 1949, while in New York, she married Steve Kingston a retired merchant marine. This is also when she became acquainted with John Nicholson of Cafe Nicholson. She became a cook at the restaurant that was well known among the bohemian and artist types. In 1954 she left the restaurant to run a pheasant farm with her husband. In 1975, while recuperating from a broken leg, she began writing The Taste of Country Cooking. It all snowballed from there. She lived to the ripe old age of 89. I decided to make her Feather Light Yeast Rolls. I found the recipe on the Gourmet website. I also provided you with the recipe below. In a medium saucepan add the potatoes and generously cover with water. Bring to a boil and simmer until tender about 10 minutes. Reserve one cup of the cooking liquid and drain the potato. Melt 2 1/2 tablespoons butter. Mash the hot potato in a bowl using a fork. Add the melted butter, milk, salt, and sugar. Cool your 1/2 cup of liquid from your potato. The temperature of the water can not be above 115 degrees. It will kill your yeast. When the temperature is below 115 add your yeast and allow to bubble up and foam. If it does not do that then discard and start over. Stir your yeast mixture into your potato mixure. Sir in the flour with a wooden spoon until it is incorporated and a soft dough is formed. Flour a flat surface and kneed dough until elastic and soft about 10 minutes. 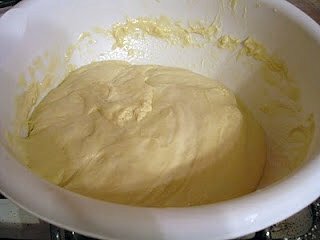 In a large bowl coat with butter and put the dough inside the bowl and coat it with the butter. Set the dough in the refrigerator and allow to rise 8-10 hours. Punch dough down and cut in half. Roll each half into a log. Cut 12 pieces from each log. 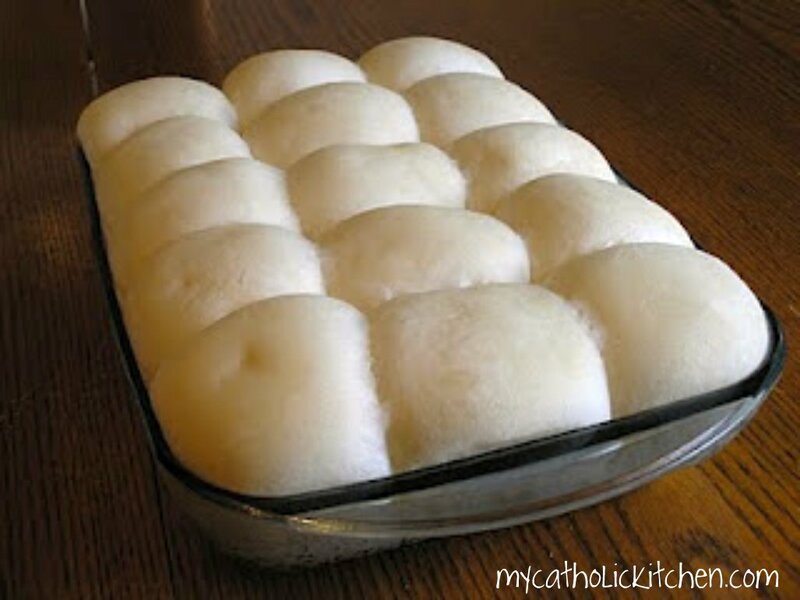 Roll into balls and place evenly spaced in a 9×13 inch pan. Cover pan with a kitchen towel and allow to rise about 1 1/2 hours. Melt remaining half a stick of butter and brush the tops of the rolls. Bake in the middle of the oven until golden brown about 20-30 minutes. The following bloggers are also featuring recipes from Edna Lewis. Please pay them a visit and see what they have to bring to the table. Please join us next week when we feature Seveine Von Tscharner Fleming. Your rolls are simply beautiful. I love Edna Lewis, she was the first true southern cook. I wante her book the gift of southern cooking. There is a documentary on her called fried chicken and sweet potato pie. I think its on you tube. Such a beautiful video. It shows how her and scott met and his love for her. Truly beautiful. I agree with your family because I couldn’t have possibly eaten just one of these light feathery rolls. Veronica those photos are killing me. I read all about her feather light biscuits while I was researching Edna, and it’s lovely to see them. What is the secret, the potato? I can’t wait to try these, and normally I don’t crave white breads. I’m pinning these! These rolls look so perfect, Veronica! Fluffy and just the right touch of golden brown – lovely! Thanks for sharing. You have a great blog and I’m happy to have found you! This makes me remember my grandmother’s fabulous rolls. 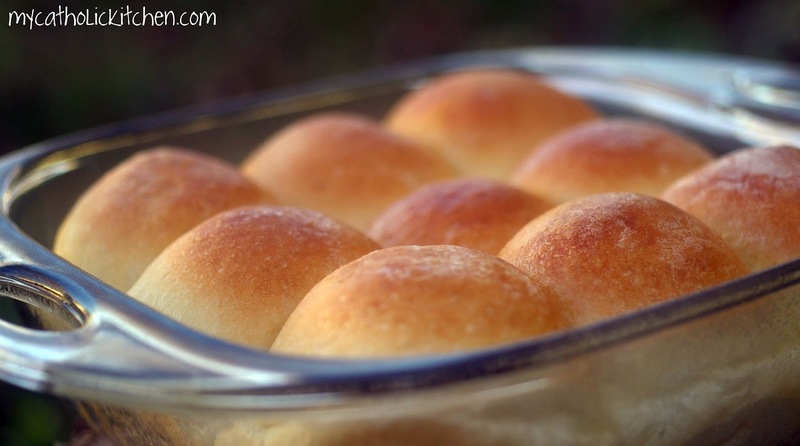 These may be the fluffiest, lightest rolls ever conceived – they are just a heavenly piece of bread. Beautiful! Wow! 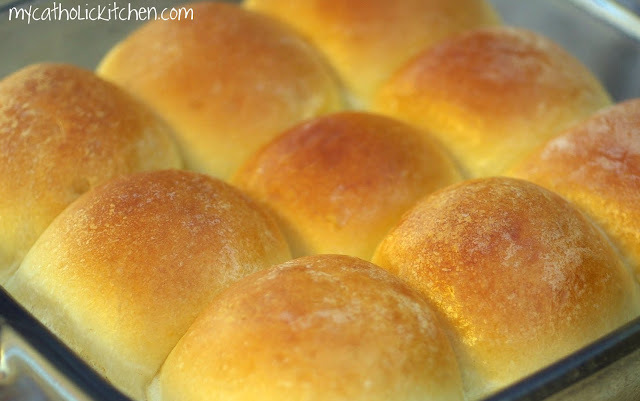 Those rolls are just perfect … so golden and fluffy! You picked a great recipe, Veronica! Absolutely gorgeous rolls, Veronica! I think you win the prize this week….I can even smell these! I love the story of Edna. And your rolls look perfect! I could eat the whole pan I just know it! Those rolls look absolutely perfect! If my son had a dish of those in front of him they’d be gone in 10 minutes—no joke. Lovely story!These rolls look absolutely beautiful!They’re so soft and delicious,I’m really craving for a bite right now! So fluffy and perfect! these look delicious…and I loved learning about Edna. Hi Veronica, Stopping by to say thanks for participating in the YBR. Also your rolls look perfect. Thanks for sharing. I saw these over at Nancy’s and had to come bookmark the recipe. My daughter’s favorite kind, such an interesting lady too, I like this game changer series I’ve been seeing around. Thanks for introducing me to Edna – I’d never heard of her until now. Those rolls really do look light enough to float away, Veronica! 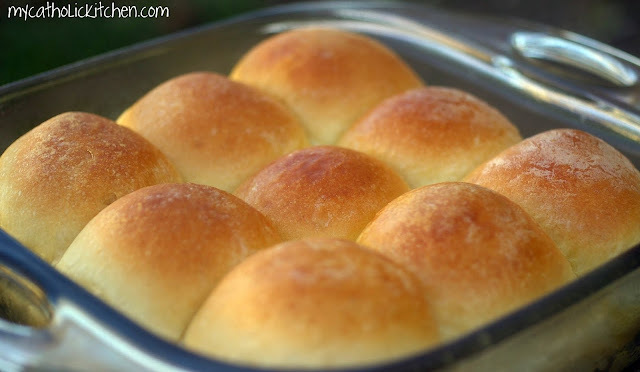 Okay, so I have always wanted to make potato dinner rolls, but never seem to have potato on hand at the same time I’m in the mood to make rolls. Thanks to my mother-in-law, she taught me how to make bread from scratch and I built on that and omg…I wish I could open a bakery, my hubby loves bread, all kinds (as long as its buttery, rich, sweet, all that…and melt-in-your-mouth soft. Now, I started this recipe last night and ran out of flour since I decided last minute to double it. I got to ‘kneading’ and realised that I needed more flour, just for it ‘coming together’ and the elasticity. It being 4:30am, who’s going to the store? No one. So my dough is very soft and extremely sticky. After 10hrs, since I cannot drive to the store (car accident recently), I could not wait until hubby gets home from work, so I tried my best to ‘roll’ the cut pieces of the log into a ball…omgosh! I have one batch ‘rising’ and…I’m gonna wait on more flour for the second batch in the fridge right now. Fingers crossed, wish me luck…Either way, I’m making these again soon. The right way this time, lol..Love your pics!! YUMMO..
Hi there, I am going to try these rolls soon, but had a quick question. I noticed it says to reserve a cup of the potato liquid, but later says to only use a 1/2 cup with the yeast. How much water should I be using? Thanks! Hi Lindsey, this is what I did when I made this recipe. With these rolls you go by feel. If it feels to dry then you may want to add more liquid. Start with 1/2 cup and if it doesnt feel wet enough then add more if you need to. I hope this answers you question. I thought that might be the case, but wanted to be sure 🙂 Thank you! One more question…sorry! If I were to make these the day before Thanksgiving, would they store well? No problem, I love questions. By Make, do you mean the dough,or bake also? You could make the dough the day before and store it in the fridge. It would be a slow rise, but still doable. You would want to punch it down and take it out of the fridge an hour or two before you bake it. You would form the rolls and let it sit on the counter for the second rise. Then bake as usual. I cant say about bake them the day before because I have never done that. To be honest, I have never had leftovers to tell you what they taste like the next day.